When Pat Smith of Serve Denton reached out to me to design a logo for a tiny home community in Denton I was excited. Serve Denton is constantly doing things to help the community of Denton come together and do things for the betterment of everyone in Denton. They have a place called The Wheeler House that provides temporary living for people who need it. They connect homeless individuals to multiple services under one roof and they are always coming up with new ways to help individuals in need. This tiny home village project is just such a venture. 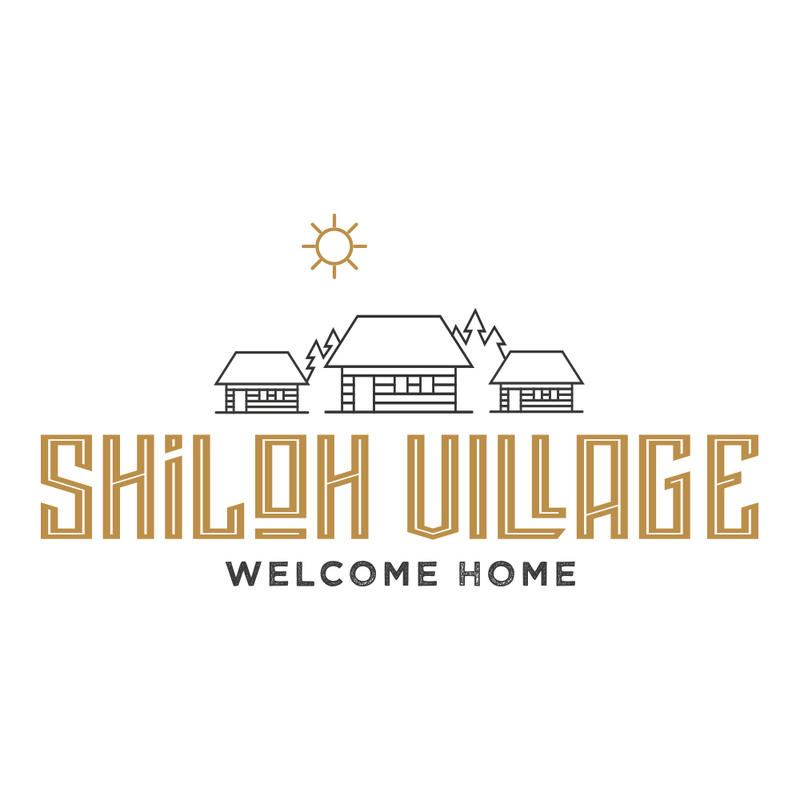 The goal of Shiloh Village is to provide very affordable housing to veterans. How great is that? The logos below took many things into consideration. We wanted the logo to reflect the city of Denton, but also be appealing to veterans. In other words we didn’t want it to look like a retirement residence or a resort, it needed to be light and airy and at the same time grounded. The final product we believe turned out great.